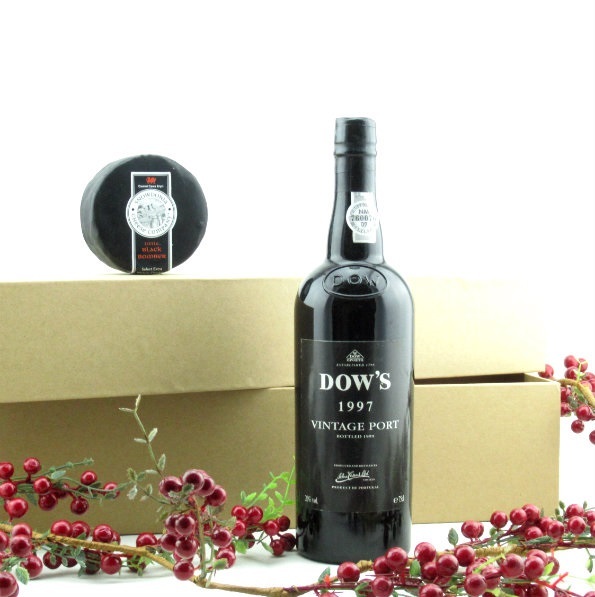 A bottle of Dow’s 1997 vintage Port with a 200g waxed Snowdonia Farmhouse Cheddar Truckle. 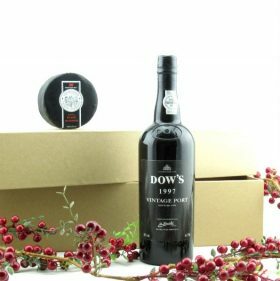 Another great vintage of the ’90s, the 1997s are just beginning to reach full maturity but will keep for many years to come. Presented in a sturdy, natural finish cardboard presentation box.